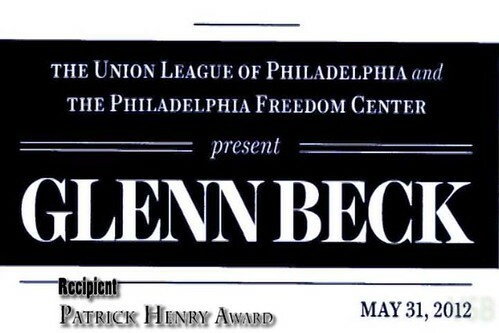 Glenn Beck Receives Patrick Henry Award at Union League of Philly | the "silent" majority no more! 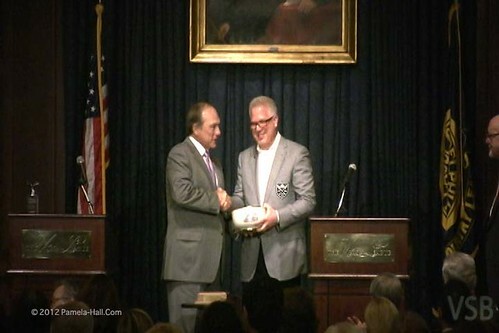 On Thursday, May 31, 2012, Glenn Beck was the recipient of the David Horowitz Freedom Center’s Patrick Henry Award. 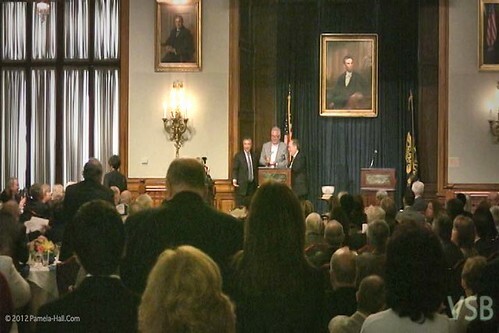 It was presented to him by David Horowitz at a luncheon co-sponsored by the historical Union League of Philadelphia and the Philadelphia Freedom Center. 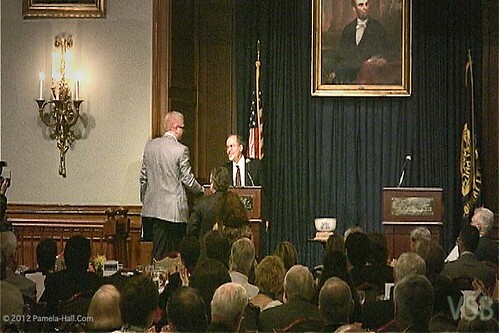 Next, Commander Thomas Lynch presented the Patrick Henry Award to Glenn Beck. Questions 3 and 4 were Education and Economy questions. “Has the decline of Education contributed to the decline of America?” (Our education is radically different from what it used to be. By erasing our history we can track the destruction of our society) Question 5 , Beck discusses his new talk radio in Philly (on IQ 106.9 FM) By creating his own network, that he funded with his own money, GBTV is debt free. Growth hasn’t been super-fast, but they have spent that past year creating its infra-structure and they will be experiencing radical growth in the next 6 months. And with the last question, “How much damage to Federal Judiciary has been caused by Obama’s Supreme Court appointments“. Not Good. Damage is severe. It’s a 100 year Progressive assault and the damage is staggering. America must wake-up. We must stick to our principles. We must ask ourselves , “What is important. What do we want do we preserve.” We have the blue-print…. This entry was posted in “NO!” to appeasement., Fight for what is Right!, Look what happened America.... Bookmark the permalink. Fantastic! 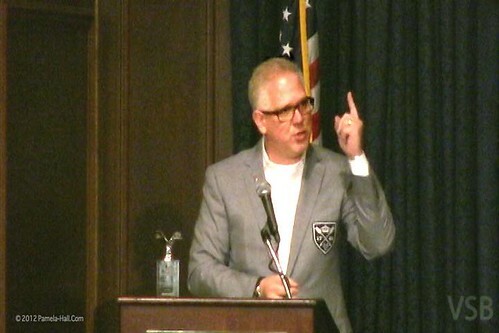 Glenn Beck is a great patriotic American! Hope you enjoy their speeches. Horowitz and Beck were both in great form.